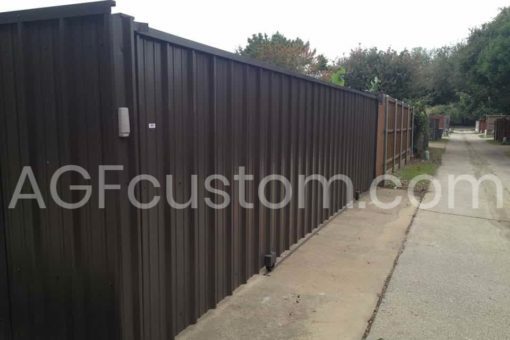 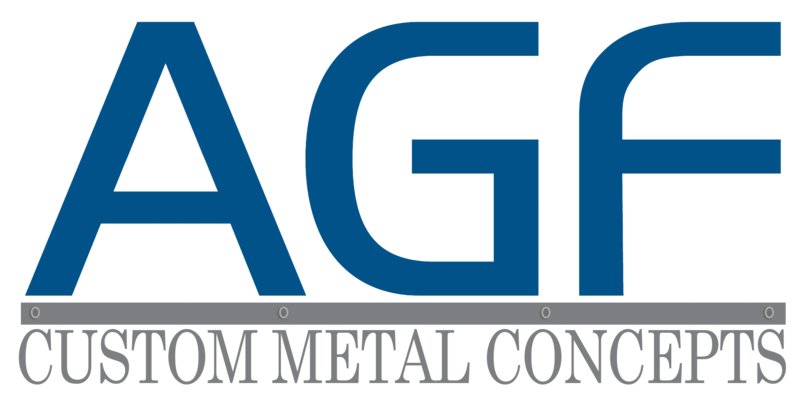 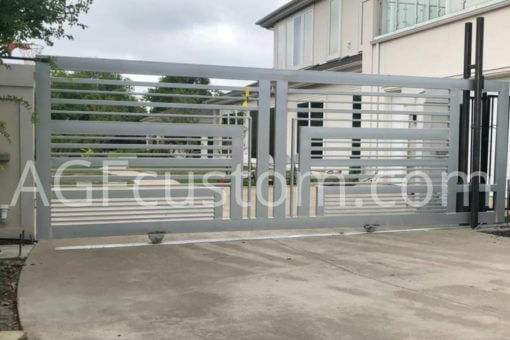 A slide gate is an automatic gate that moves from side to side to either the open or closed position of an alleyway entry. 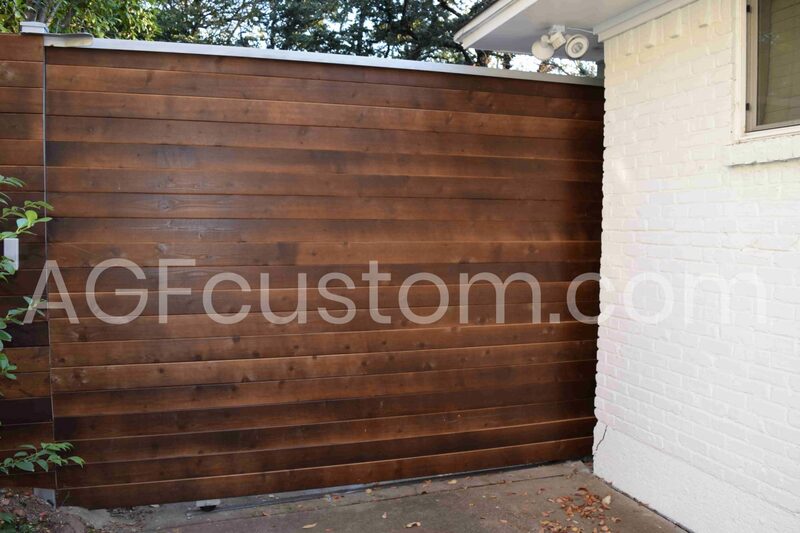 The motors are programmed to work with a remote control making it easy for a homeowner to access the driveway from the vehicle. 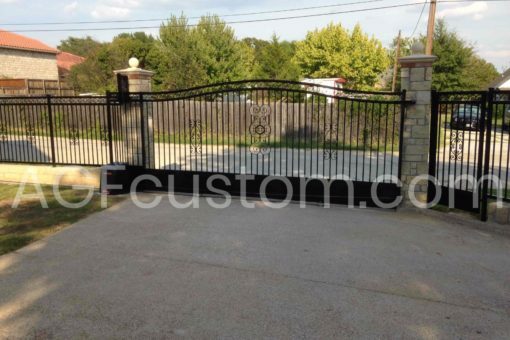 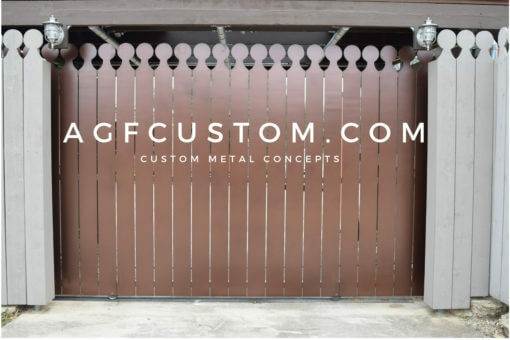 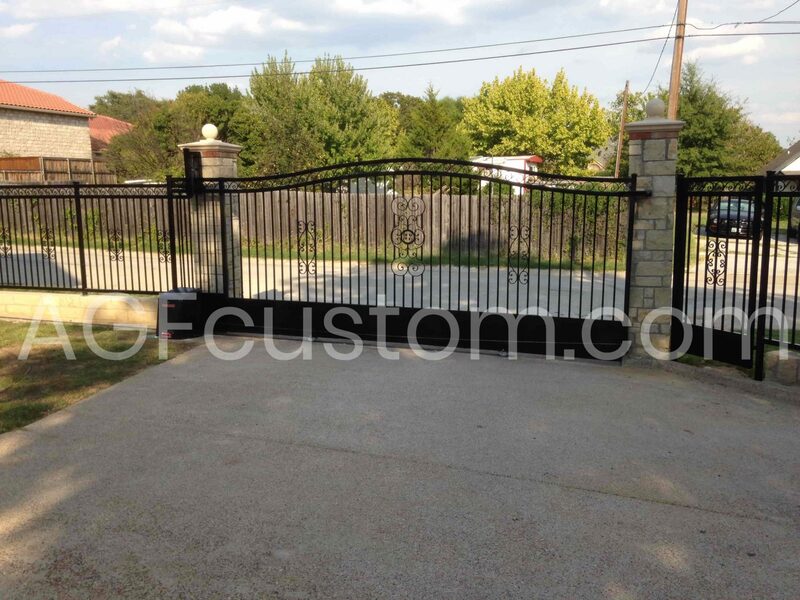 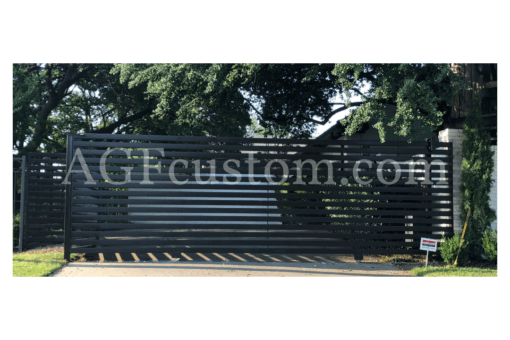 Our custom gate designs can range from all wood, metal to part iron and wood, depending on our client’s preference. 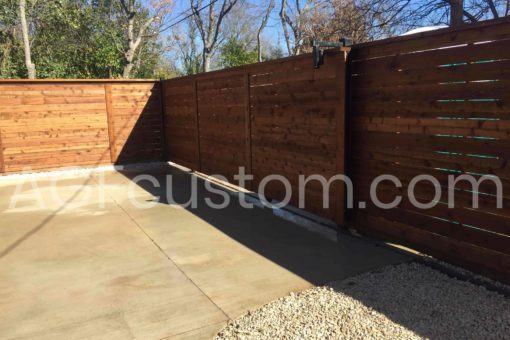 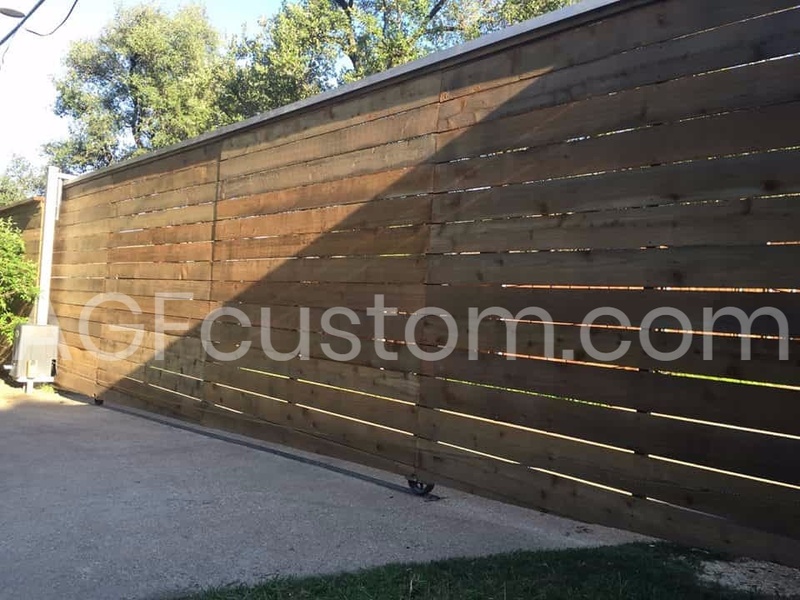 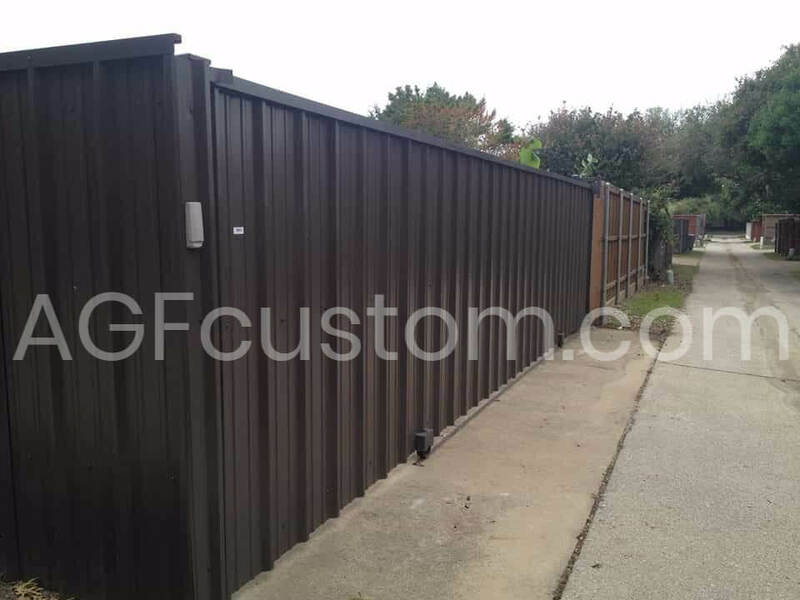 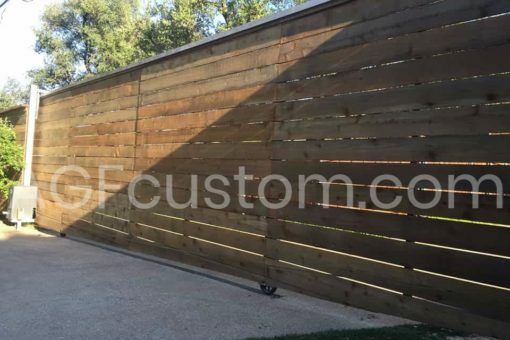 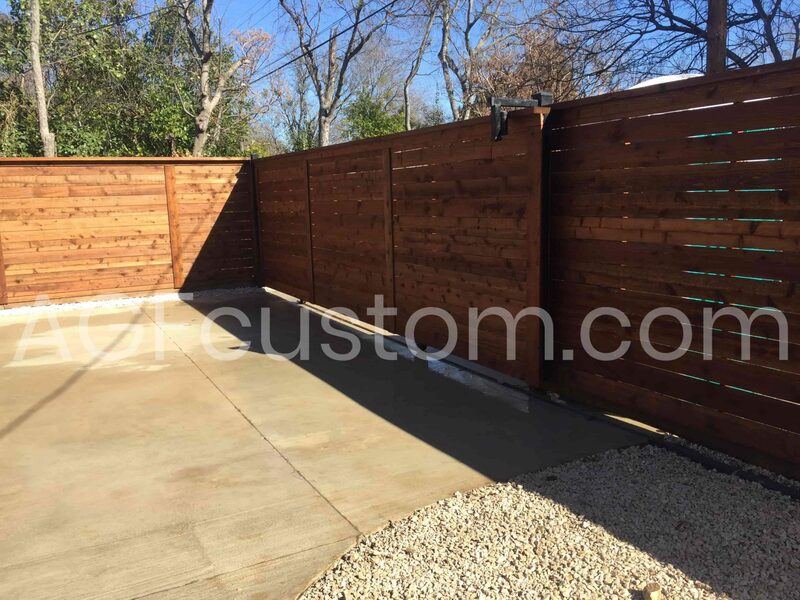 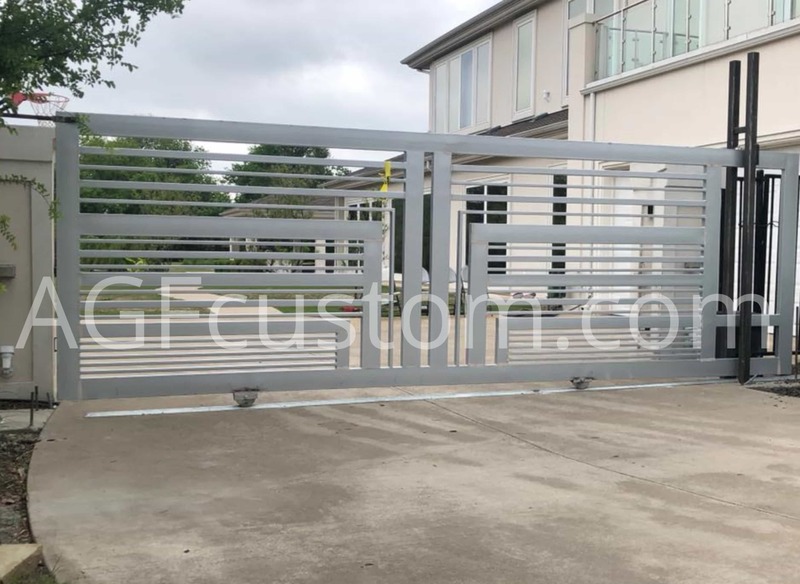 This form of slide gate was designed for the homeowner wishing to install an automatic slide gate for his driveway but has a small space for the gate to slide into. 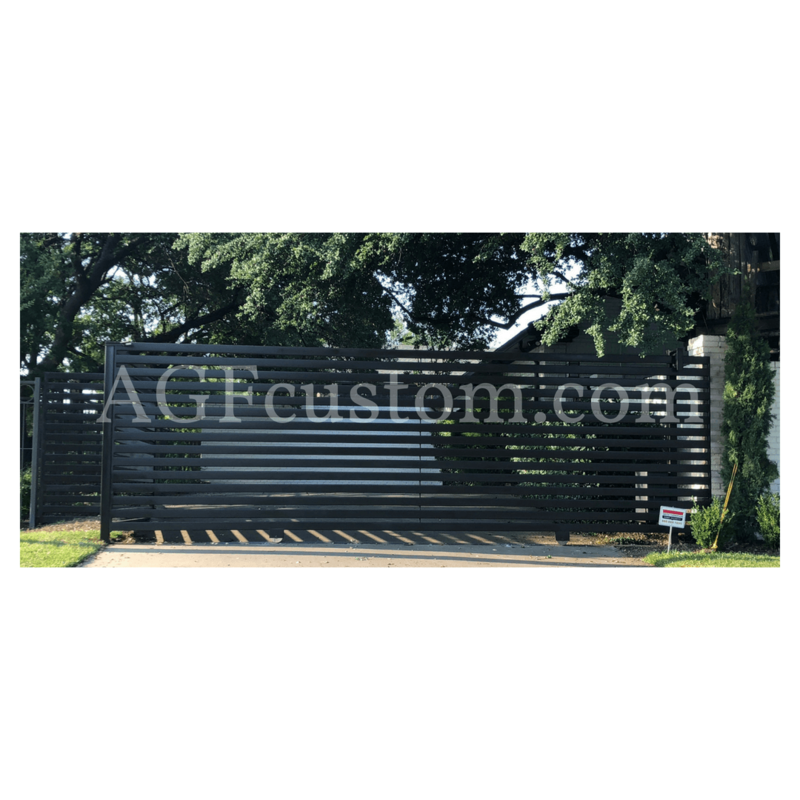 The video below will demonstrate how the tandem gate, which is built in 2 pieces, can easily fold into the space allotted.